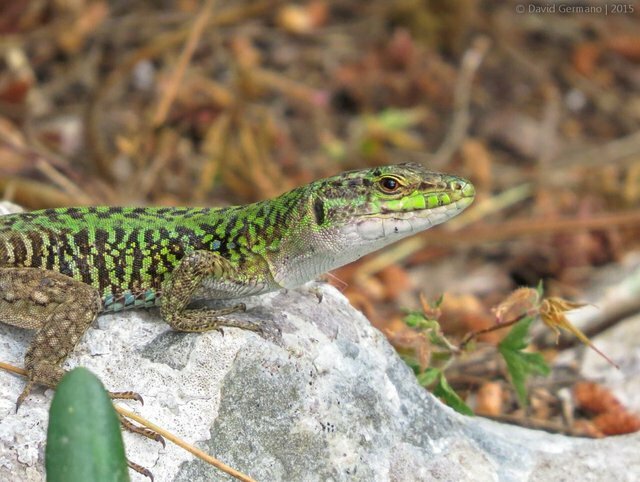 Podarcis siculus © David Germano | All rights reserved. I really like the markings and the color green he is wearing. Great photo David. Almost looks like he is posing!